Modern design as well as the same technical characteristics. PK4303. 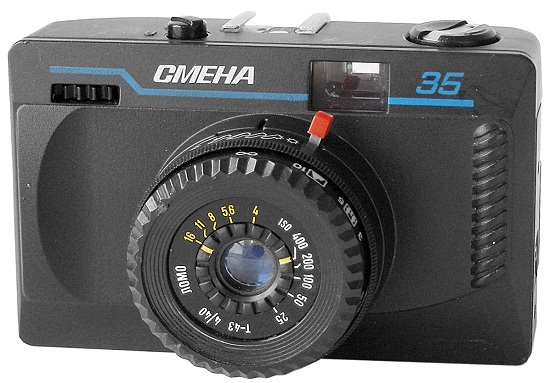 Seems to be an earliest known version of the regular Smena-35 camera. Yellow line emphasizing the white logo. Black lens faceplate. Less than 10.000 units released in 1990. 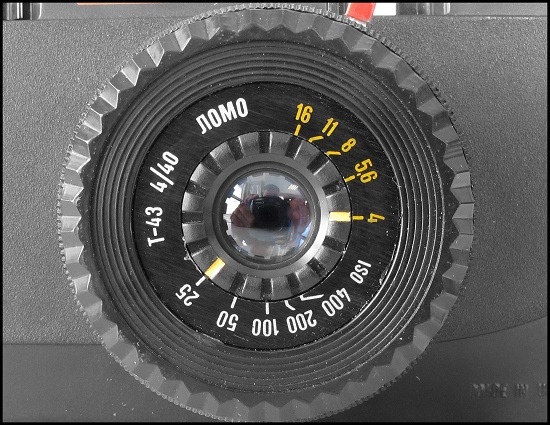 An earliest so far known camera has s/n #9000406 (SovietCams). PK4304. 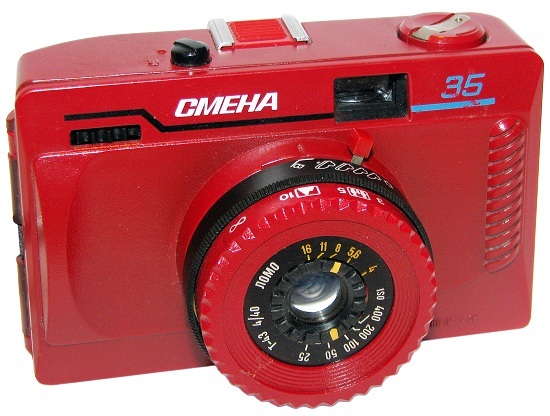 The very first LOMO's attemp to produce the Smena-35 cameras, with bodies painted in various colours. 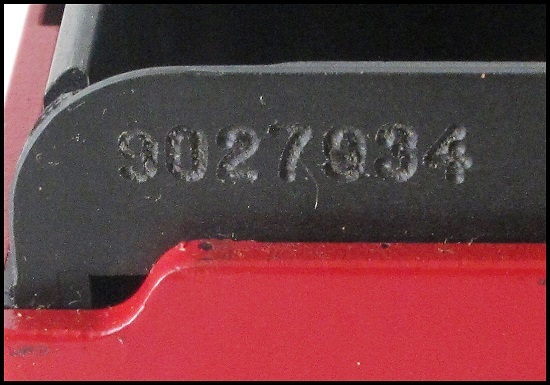 The particular sample opposite has white body with black rear door and comes without serial number yet. Green line emphasizing the black logo. 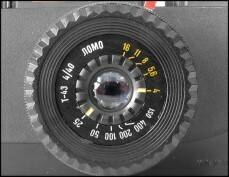 Black lens faceplate. An ultra rare to find nowadays. 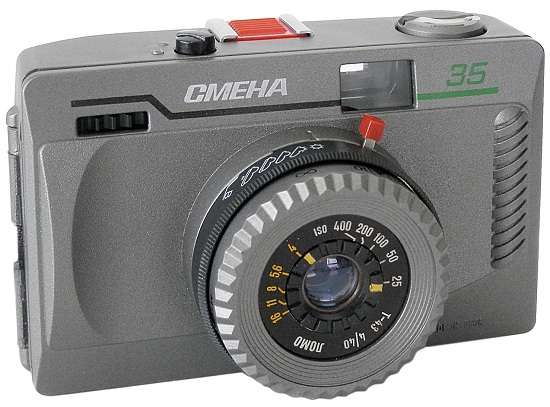 It's interesting to say, that another known Smena-35 sample (s/n #92642450 from private collection in Russia) has totally white body. PK4304 - Smena-35 (white body). PK4305. White line emphasizing the yellow logo. Black lens faceplate. Very uncommon early version. Another alive exponate of particular version #9018080 (Viktor Suglob coll.) 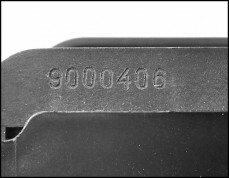 was manufactured in November, 1990. PK4306. 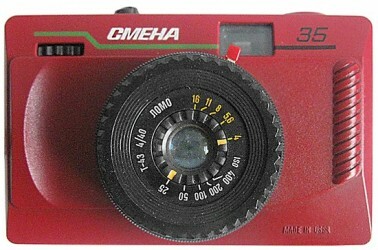 Another Smena-35 sample with painted body. Red body with black rear door. Orange line emphasizing the white logo. Black lens faceplate. An extremely rare to find nowadays. PK4307. Red line emphasizing the white logo. 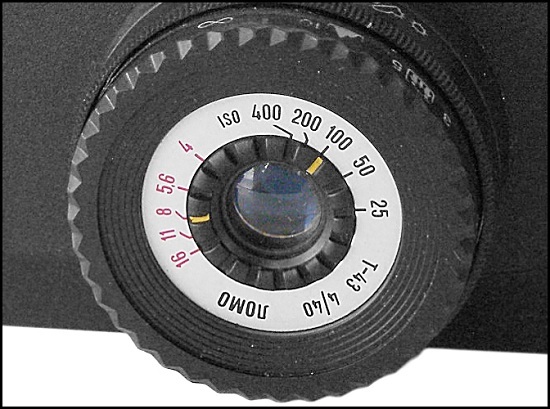 Black lens faceplate (see picture below). 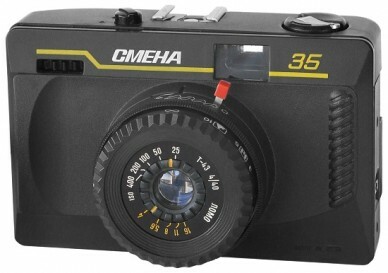 Even more uncommon version of the particular camera. PK4310. Blue line emphasizing the white logo. Black lens faceplate. Very common to find nowadays. Seems to be released by Lomo since 1991. PK4315. Camera identical to PK4310, but with white faceplate of the lens already. Still very common to find. Investigated camera has s/n #92633409 (SovietCams). PK4317. Another Smena-35 sample with painted body. 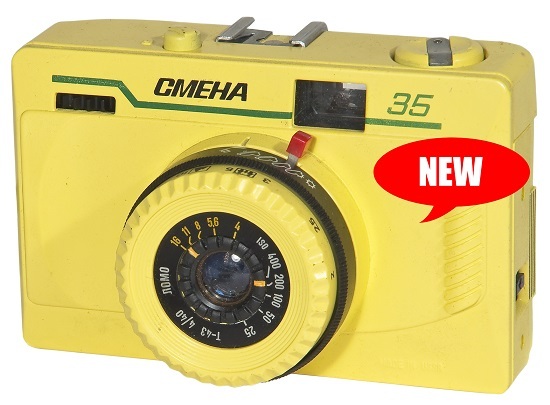 Uncommon totally yellow body. Green line emphasizing the black logo. 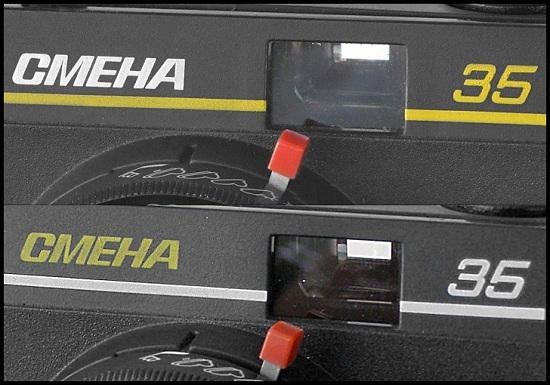 Black lens faceplate. An extremely rare to find nowadays. Camera #91440293 opposite from LOMO History Museum exposition. PK4320. Green line emphasizing the white logo. 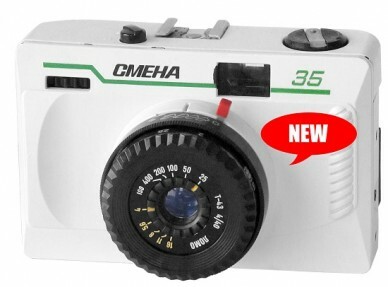 White lens faceplate. Very common camera to find. 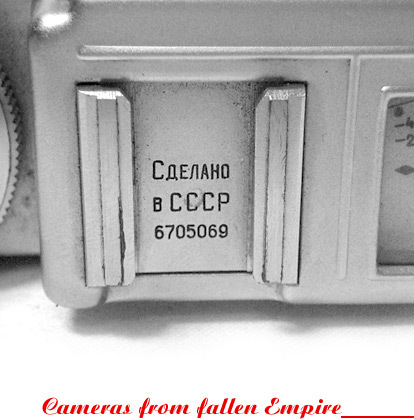 Investigated camera has s/n #93336446 (SovietCams). PK4325. 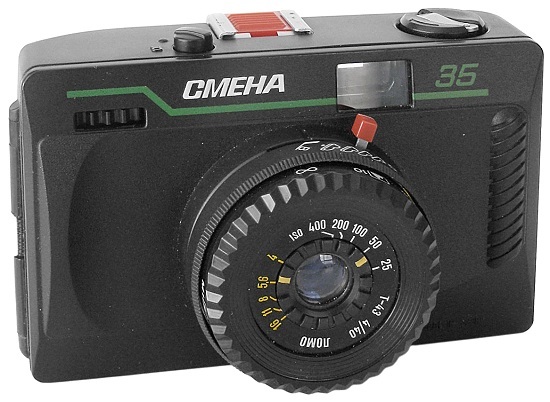 Camera identical to PK4320, but with black faceplate of the lens again. Still very common to find. PK4330. 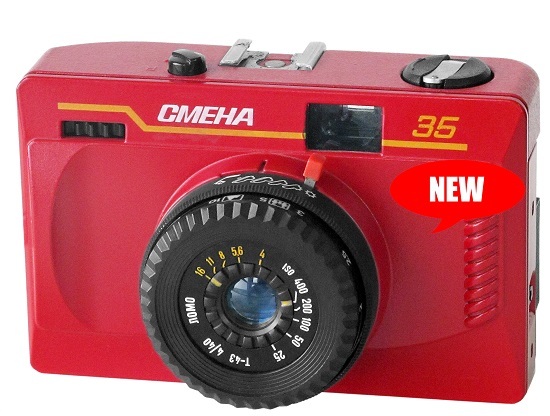 Never seen before version of Smena-35 camera with export markings. One sample was seen on J.Rishkov book "Brief History of Soviet Cameras", 1993. PK4350. In 1992 LOMO has released a limited amount of Smena-35 cameras, painted in various colours again. These cameras are very rare and hard to find nowadays. 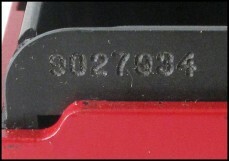 An additional prefix "651" in the serial number. Opposite you can see an unique camera No. 1 of "651" series. Totally red body with lens is painted in black. Green line emphasizing the white logo. Black markings "35" on the other side of finder's window. Camera #92651001 opposite from Gennady N. Panchenko (Russia) collection. PK4360. Sample No. 43 of "651" series. Red body again, but the lens is painted in red already. 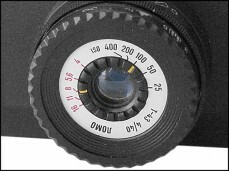 White faceplate of the lens. Black line emphasizing the white logo. Blue markings "35" on the other side of finder's window. No otherwise different from PK4350. 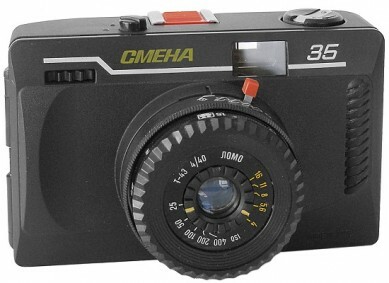 Camera #92651043 opposite from Gennady N. Panchenko (Russia) collection. PK4370. Sample No. 89 of "651" series. Body in titanium grey, lens has black ring with weather symbols painted. The camera's rear door is painted grey as well. Black line emphasizing the white logo. Green markings "35" on the other side of finder's window. Very few samples (up to 5 units) are known to exist until now. PK4380. Body in titanium grey, camera's back and lens painted in black. The sample of the particular version was found as illustration in PK4370 manual guide. PK4390. Sample No. 143 of "651" series. Body painted in blue, lens has black ring with weather symbols painted. The camera's rear door is painted blue as well. Green line emphasizing the white logo. Orange markings "35" on the other side of finder's window. 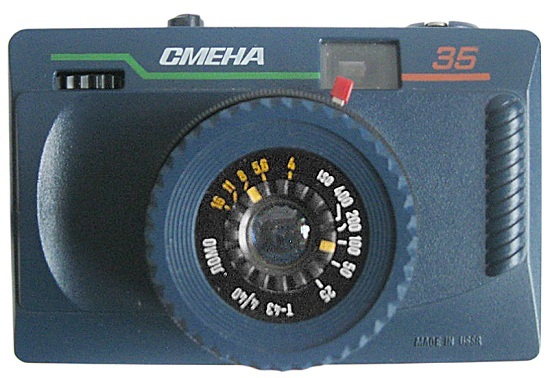 Camera #92651143 opposite from Gennady N. Panchenko (Russia) collection. PK4400. Sample No. 258 of "651" series. 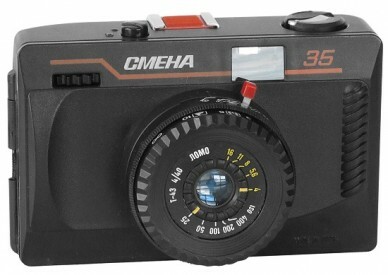 Identical to PK4360, but with black faceplate of the lens. Black line emphasizing the white logo. Blue markings "35" on the other side of finder's window. 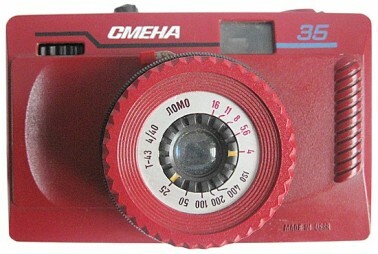 Camera #92651258 opposite from private collection in Russia.